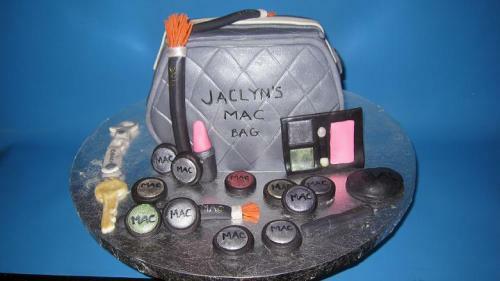 This makeup bag cake is a replica of a mac makeup bag. Complete with a ton of edible makeup and a delicious butter cream filled vanilla cake. Contact us today to design your very own novelty cake with a land of cakes designer.